Product categories of Reflective Elastic Belt, we are specialized manufacturers from China, Reflective Elastic Belt, Reflective Elastic Running Belt suppliers/factory, wholesale high-quality products of Reflective Elastic Band R & D and manufacturing, we have the perfect after-sales service and technical support. Look forward to your cooperation! 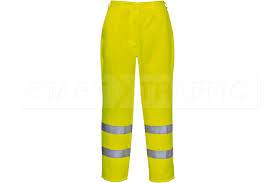 Our reflective elastic pants is made by 100% polyester cover with 3M Reflective Tape.Reflective elastic pant is often defined as workwear because it not only comfortable and not easy to get dirty but also has high visibility that can be see in the dark place increased worker`s safe.We have many different design about reflective elastic pants and custom design is accept.If you have any question please be free to contact us.